We are excited to let you know that our second original single from The Royce Twins EP is released to Australian Radio Today. It’s called “Brave”. When you think of Brave, you might think of a hero putting themselves in the path of danger to save someone.Being brave though can also be your own personal journey. After you’ve had your heart broken you might think you’re not strong enough to ever find love and lose it again. But if that one right person appeared would you be “Brave enough to take the fall” in love – even if it meant getting your heart broken all over again? Brave is about finding your own courage to let love in, regardless of what the consequences might be. As recording new comers we know how hard it is to get Australian Radio to play new music. 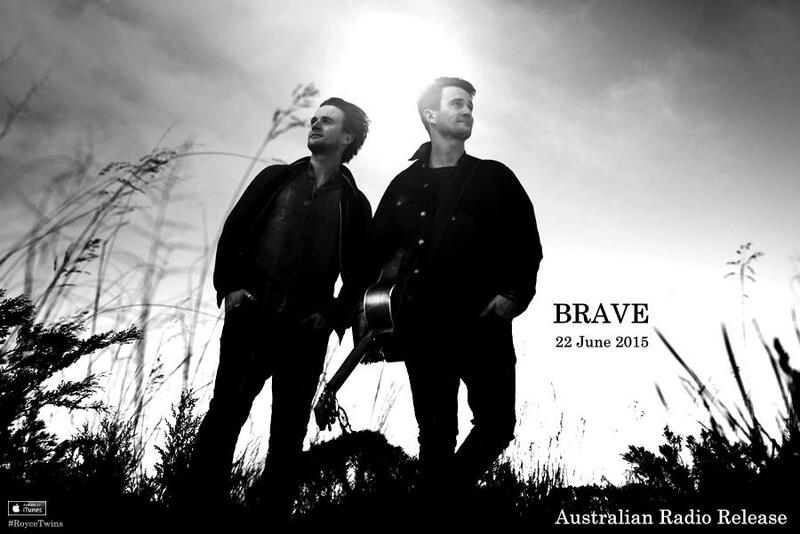 If you want to hear Brave on the radio, contact your favourite station and tell them to play it. Twitter is a good way to make a request too. We hope you enjoy listening to it. It’s a song that gets people singing along when we play it live. PS. If you haven’t already discovered it, you can find Brave on our Debut EP.